One benefit of applying for credit cards without annual fees is obvious—there are no annual fees! But the benefits of applying for a credit card with an annual fee can be less apparent. Knowing what you will get in exchange for that fee is crucial in determining whether or not applying for a specific card is a smart move. Nothing worth having is free: That truism can be applied to many things, including credit cards. An annual fee usually pays for added perks; otherwise, issuers wouldn’t see many credit card applications for those particular cards. They have to make the higher-fee cards attractive, and they do this in several different ways. Rewards credit cards give you incentives to charge purchases. With an annual fee, you may see rewards that are double those offered by cards without a fee. This can mean more miles, more cash back and more reasons to fill out that credit card application. No interest for the first year (or more), a cash back bonus for spending a certain amount in the first few months of opening your account—these are some of the ways banks make signing up for a credit card more attractive. And when there is an annual fee, these bonuses stand to be even more alluring. Sometimes creditors charge you money to redeem your rewards. With a higher annual fee, this is less likely. Some of the best travel credit cards also eliminate foreign transaction fees for customers traveling abroad. Credit cards often come with benefits above and beyond the initial signup bonus and rewards. Applying for a credit card with an annual fee means you could reap travel protection, access to first class lounges at the airport, waived luggage fees, discounts from hotels and other businesses, and even greater rewards and incentives when you donate to charity. The benefits of applying for credit cards with annual fees depend on how and how often you use your card. Ultimately, determining whether or not such a card makes sense for you will require some personal number crunching. Despite how counterintuitive it seems, an annual fee can be a good thing when you are applying for a credit card. Before you eliminate annual fee cards from your list of potentials, consider what you’ll get in exchange. 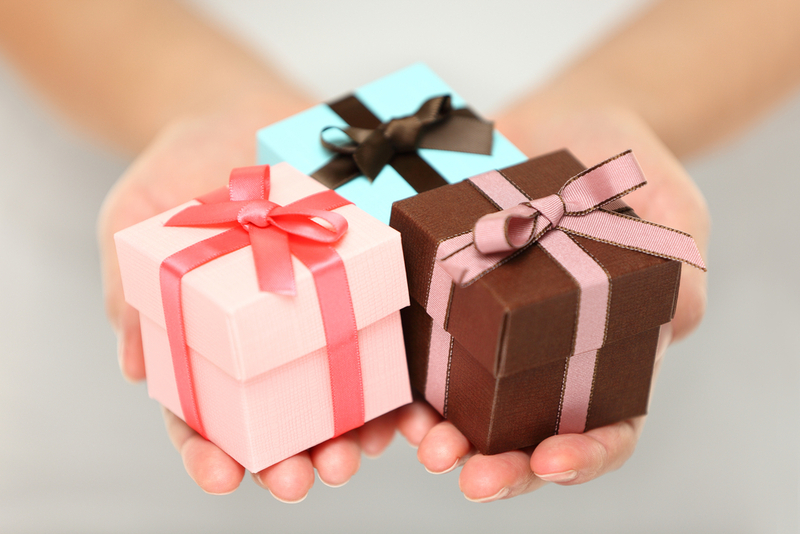 Bonus gifts image via Shutterstock.